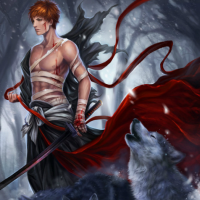 MC is teenage King of Assassins, who practiced assassinations for three years before retiring. Isnt something already very wrong with this statement? Well, add to that personality you would expect “King of Assassins” Chuunibyou infected 14 y.o. To possess. About 66% of short chapters consist of water. A stat-window, statistic driven narrative, in the mold of Zhan Long. The premise is almost unbelievable: greatest assassin in the world retires, picks up an online game and somehow able to utilize his game character in a way no one else can hope to achieve. If you can get past that and like Zhan Long, this is for you. It's basically more of the same style. Sadly I must say this isn't the most well written novel. However it deserves more credit than the rest of the reviews have given it. Yes it follows cliches, but what novel doesn't? The set up is your average cliched vrmmorpg, if you want another one of those whose to say its bad? The plot is cliched, but so is every single vrmmorpg don't criticize this one for being over used and a copy. That damn "Apathetic Protagonist" tag I thought would read a virtual reality novel with a different MC. THIS IS LIE PEOPLE, DO NOT BELIEVE IT! ... more>> This MC is everything, idiot, stupid, hot blood, nothing discrete and much less APACTICAL. Chu Rui was eating at a restaurant, the owner was a beautiful woman and her daughter. Chu Rui is no longer a killer, so he wants to live a normal life. Even a guy appears and begins to s*xually harass the owner of the restaurant. He can not control himself and flies in a rage at this. EXCUSE? WHERE IS OUR APATICAL PROTAGONIST? HE CAN NOT CONTROL ONLY BY SEEING 1 WOMAN IN THIS SITUATION? Chu Rui would fight a monster when he was attacking, the monster managed to dodge. Chu Rui flew into a rage, and said loudly "How dare you dodge my attack?" I know MC is just an 18 year old boy, but damn, he was a murderer, he lives talking the same bullsh*t that saw a lot of the ugly side of society, how can he act like that? Because MC is an idiot and makes many enemies, in less than 400 chapters his enemies discover his identity, and he and his women are attacked in his own house. I risk betting all my chips saying that the author never talked to 1 woman. They will always approach in MC because of curiosity. And after that you know, you have a harem, it's ridiculous. The interactions between them then, I will not even write or I'll spit blood as I write. Many of the illogical parts of this series that people complain about can be avoided if you just add 10 yeas to the apparent age of the MC. If he was 28 instead of 18 a lot of peoples complaints would disappear. But I feel there are a lot of bandwagoning complainers out there. Remember tonnes of the Xianxia novels out there have 12 and 13 year olds kicking 30, 40 even 200 year old enemies buts. How is this different. As for game mechanics, this is a novel not... more>> a 4 year in the planning MMORPG. Does it have epic loot? Monster battles? An OP MC? All good then. Overall the series is a very entertaining vrmorpg. Light, fluffy. A likable MC. I am disappointed that the current translator has dropped it. I hope a good translator picks it up soon. The reviews are overly harsh. The settings are pretty much the same with any other Chinese vrmmorpg novel. A master class assassin at the age of 18 years old quit the assassin life and try to life a normal life by going to school and play games, and for plot reason buys a small apartment, donate all of his money to orphanage and only have 10k usd in his bank, and later on complain of the small amount of money that he has. Well to be honest this novel is really not that bad, Like I don't have a problem with this novel but with china people. when I started to read Chinese novel I was very amazed it was something new that made me want to know more about the Chinese culture but then I was really disappointed, it was like in many novel the Chinese are the great people are the masters and the rest of the world are the slave. its like there no one else that has any sort of civilization... more>> they always are the enlightenment people and we are the ignorant. i saw that many times that I had to make an acount just to say it..... sorry if I was being rude please don't be offended and I am very big fan of Chinese culture. sigh........... yeah I just can't anymore. i don't even know what the author want......... he is really trying to make everything that has no relation with china looks bad. if all the Chinese think this way then the Chinese really have big ego problems. He uses a skill that is described as having the effect of speeding up lvl x speed... He is lvl 0 and speed 2 and uses it... how did that make him faster? Binge read all the chapters. It was confusing to me because it was translated bit by bit but after rereading straight through the chapters I found it still had some unique traits that made it different... slightly! Cliché MC's the typical cool, calm, assassin guy & chick magnet. He used to be the most powerful and blah blah blah. It might seem a bad thing but I kinda like seeing leisure after so much "I want (name) to be... more>> mine in this lifetime by proving that I'm the greatest in the world of (w/n) !" Although there are many people out there that aren't too fond of the main character, Chu Rui, as he is king of assassains and only trained for three years making him 18 years old at this time, I honestly enjoy how the story is. The story shows the game world, Kismet, mainly, but he does occasionally show reality where he eats at a restaurant and some interesting fights break out in the real world. Now, if you cannot overlook his age, just look at all the other different animes and... more>> novels. Most main characters in action animes are generally around the age where they are becoming an adult and a bunch of them are indeed just as intelligent and strong as Chu Rui, having their own powers that are even better. If you can get over the fact of him becoming "King of the Assassains, " then I think you may just enjoy this series. It’s not the story of the century, it’s the classic setup for vmmorpg but the story is pretty good and for those binge readers like me who look for something interesting to read while waiting for CD, ATG,... new chapters, it’s worth it. I like how the hero for once relies on his own strength instead of a OP skill or item. Byunisperv is a little harsh about the assassin remembering. Though it’s true, there is the traditional bragging from the author like in all LN underlining that MC is incredibly strong... more>> and a killing machine, it's not that annoying for me. I thought I'd give this a try. Reviews said that it was written by a 14 year old but I've heard them say the same about Arifureta so I thought I'd give it a try and it was the biggest waste of time I've had in a while. There's so much wrong with this that I even made a list on my phone out of pure resentment. Now here's what's wrong, and this will have minor spoilers towards the MC's character not any plot holes, characters or to the plot. We've got to be reminded that he was called the "crimson shadow ghost" every other freaking chapter and it just gets cringy after a while. MC can't handle his emotions at all, for someone who was at the "top" of assassins you'd think he'd have experience with not letting his emotions get to him but he's always getting pissed. The giant plot hole that he's supposed to be the best of all assassins with only 3 years on the job, even if he was a genius the above reasons would never make him the best in any world. Not including the other reasons I'm going to list. He's lived a "life of darkness" as if 3 years of select killing counts as living in the darkness, it just sounds like the author is trying way too hard and failing. Will hurt a woman because those who don't are standing on a high horse when he himself has 3 types of people he won't kill just so he can feel human. (Children, mothers and good people or some BS like that) Yeah I'm sure he'd reach the top of assassination by not killing everyone that's a target. Somehow can't deal with the "killing intent" of jealous cherry boys. to write this. Waste of time. If you want an ex assassin story I'd recommend Hidden Assassin over this any day, at least the MC in that one knows how to act. This novel did has a great potential, but the author ruined it with the trivial detailing, the chapters are short already so the trivial sh*tty details are filling the majority of the chapters except for some rare cases, the author is always boasting about the MC and how he was a "suprem assassin". What I did when I was reading it is to go directly to the game elements, but with that you will arrive at the last chapter translated in one day at most. The logic behind the MC background story is thrown out of the window. MC decided to become an assasin at the age of 15. In the spand of 3 years he managed to become the supreme assasin everyone awe and fear. 3 years? All it tooks to stand on the top of the world of murders/cold blooded killing? Seriously? He is a superman with stealth. Afterward the story consists of him slaying the game with his godlike assasin skills cause the game takes on real life potentials of the gamers (scanning gamers... more>> body when making character), saving damsels in distress (mind you the story for now 100% females he meets fit this category) which prompts him fighting /killing scumbags who think with their d*cks (so far real life guys seem to be only consist of this category). And all the females following him like ducklings cause of his "don't care if you're drop dead gorgeous/s*xy" attitude.